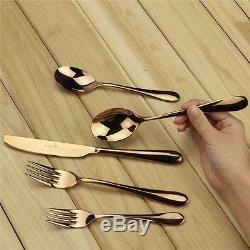 60pcs (12 sets) Stainless Steel European Rose Gold Cutlery Dinnerware Set Dishwash Safe. 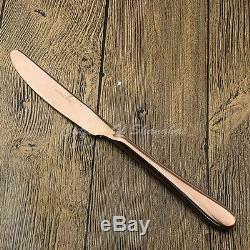 18K Rose Gold (vacuumed sealed). 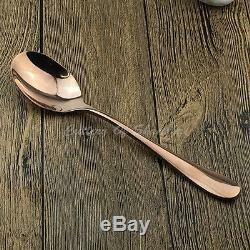 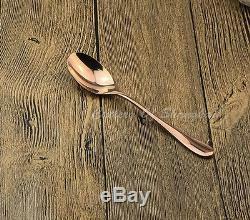 Dinner Knife 105g, Dinner Fork 70g, Dessert Fork 40g, Table Spoon 80g, Tea Spoon 30g. 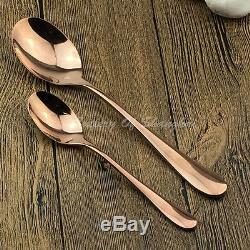 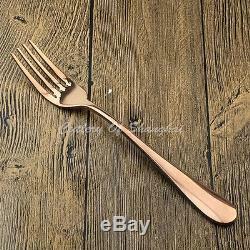 Dinner Knife 23.5cm, Dinner Fork 20.5cm, Dessert Fork 17.2cm, Table Spoon 20.3cm, Tea Spoon 15cm. 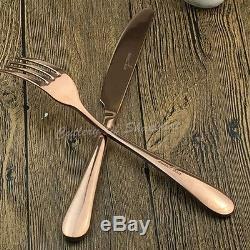 60 pieces of quality cutlery 12 x knives, 12 x forks, 12 x spoons , 12 x tea spoons, 12. 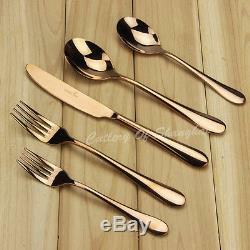 We have been manfacturing cutlery for over 25 years. 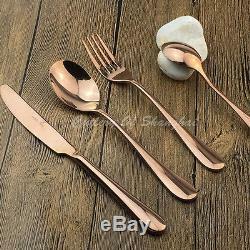 The item "60 Pieces Stainless Steel Rose Gold Cutlery Dinnerware Set With Dessert Forks" is in sale since Monday, August 08, 2016. 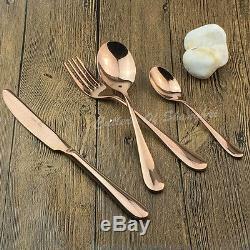 This item is in the category "Home & Garden\Kitchen, Dining, Bar\Cutlery\Complete Sets". 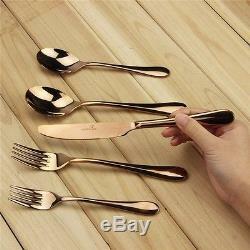 The seller is "stainlesssteel_src" and is located in Shanghai.